Asked whether RCB's demoralising displays will affect Kohli at World Cup, Kuldeep said Kohli plays at a different level when representing India. 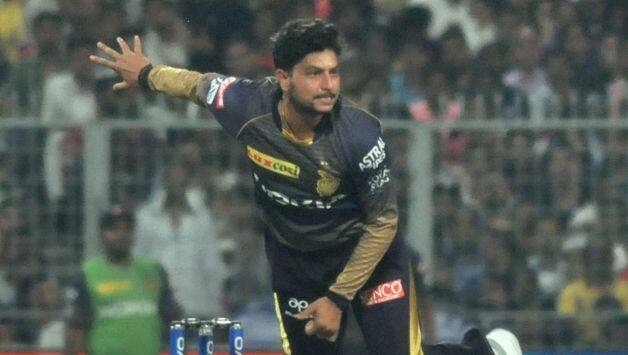 Kolkata Knight Riders‘ spinner Kuldeep Yadav, who will be one of India’s major weapons in the 2019 World Cup, has accepted that the Indian Premier League (IPL) is taking a toll on the body, especially the late finishes. The chinaman bowler stressed that it is important to train smartly keeping in mind the quadrennial tournament that starts on May 30. “It becomes very hectic (when matches gets over so late). You need to recover very well as in this competition, you need to play two matches in three days also at times. Then there is travel also. So it does take a toll on the body,” Kuldeep said. “You need to maintain yourself, eat well and sleep well. 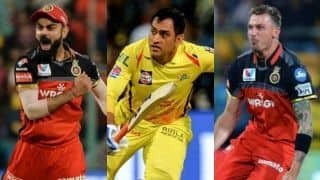 With the World Cup just after the IPL, training is very important and how you are going about it. It’s a bit hectic but the players are smart and know how to manage (workload),” the chinaman bowler said. Kuldeep will be key to India’s hopes of winning a third World Cup as the 24-year old has done exceedingly well in the 50-over format recently picking up 87 wickets in 44 matches so far. “His records speak for himself. he is doing well individually, but the team is not winning. They are lacking team combination somewhere. This is a team game and if the team does well you will win,” Kuldeep said. 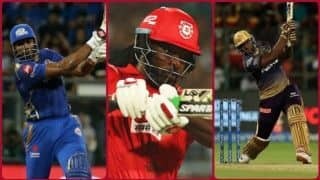 Asked whether RCB’s demoralising displays will affect him during India’s World Cup campaign, Kuldeep said Kohli plays at a different level altogether donning the India blue and the IPL showing is no cause of worry at all. 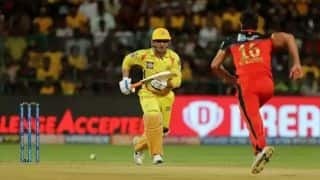 “Virat bhaiya is doing so well with the bat and is in good touch. This augurs well for us ahead of the World Cup. 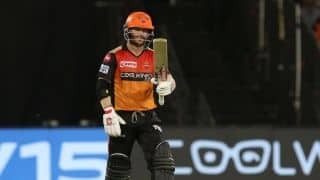 “I don’t think he will be affected by IPL performance. He is too big a player for that. He is one of the best in the world. His passion is at another level when he plays for India. His hunger is extreme. “If you have observed, he doesn’t go after the spinners much. He takes time with them. This is a good sign for spinners but for the fast bowlers he is deadly (laughs). Kuldeep added that he doesn’t ball too much to Russell at the nets but if he faces him at the World Cup when India take on West Indies, he will have his plan ready. “If he is in the World Cup, I have my plans for him,” Kuldeep concluded.